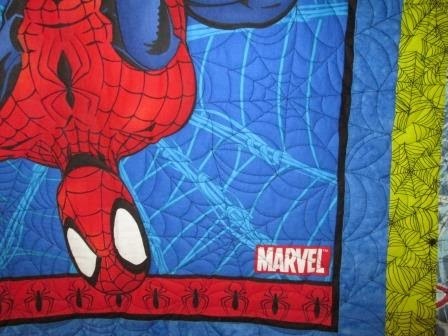 I quilted this great Spider-man quilt in February, And thought I would show you what I did. 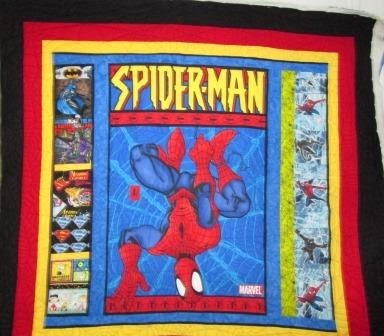 I did some quilting on the black out line around Spider-man and the letters. Then the rest is Spider Webs. All over Spider Webs. 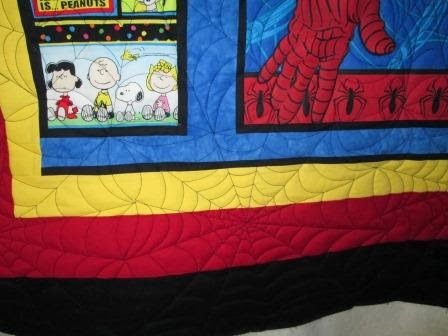 The web showed up so well on the pain red and yellow fabric. My new customer was very happy with the job I did. Hope her son likes it too, what kid big or small would not.